What You'll Need: scriptures, small gift wrapped box with picture of children inside, poster of food groups, coloring page and coloring tools, fruits and wooden skewers. 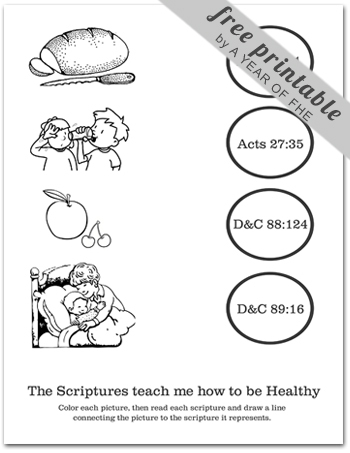 You can also choose to download the pdf of LESSON 10 for easy printing. If you download, please leave a comment here on what you like about this lesson. Note: GAK vs GAB pictures explained here. Object Lesson: Before FHE begins print photos of your children (preferably ones that show their entire body). Place it in a small box or gift bag and wrap it like a present. You may choose to do this for each individual child or wrap one box for the entire family. 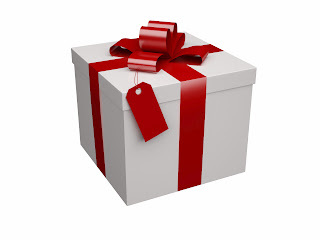 Tell family members that inside this box is a gift that Heavenly Father has given to each of us. Have them open the gifts and see the pictures representing our physical bodies. Before we were born our spirits lived in Heaven with our Heavenly Father. One of the most important reasons for coming to earth was to get a physical body. Our bodies are a sacred gift given to us by our Heavenly Father. We will only get one body to use during our time on earth so it is very important that we take good care of it. Today we are going to talk about making good choices for our bodies with FOOD and EXERCISE. FOOD: What foods we put into our bodies is very important. Just like a car needs gasoline to run, our bodies use food to give us energy to move, play and work. If we put bad foods into our bodies all the time our body won't work the right way. Let's talk about foods that are good for our bodies. Vegetables - We should eat vegetables of all colors. Dark green vegetables are especially good for us. We should eat veggies every single day, no matter what. Fruits - Fruits are also really good for our bodies. 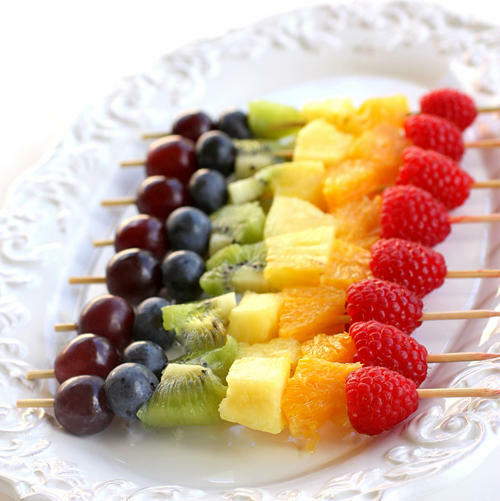 We should eat fruit every day as well. Grains - Grains help us have lots of energy. Grains, like bread, are especially good when they are dark brown instead of white. Dairy - Milk is really good for our bones. Things with milk in them like yogurt, cheese and sour cream are also good for our bodies. Sometimes milk has a lot of fat in it. We can get the good things from milk, but not get the bad fat by eating a drinking milk products which are low-fat. Protein - Protein is a fancy word for the kind of nutrition we get from meats, beans and nuts. If we eat meat we should eat just a little bit and we should try and eat meat that isn't fried. Just because we focus on eating these healthy things does not mean we can never eat anything else. It is okay to have other food things once in a while, but not every day. Sweets like candy, ice cream and chocolate are okay to eat once in a while. So are other less-healthy foods like french fries, cheese burgers and pizza. EXERCISE: Our bodies need to move around to stay healthy. Exercise can be really fun! Activities like Soccer, football, karate, gymnastics or just playing tag are all really good for our bodies. The most important thing to remember is that if your ENTIRE body is moving, it's getting exercise. Watching TV and playing video games or computer games is okay once in a while, but you should only do those things for less time than your ENTIRE BODY moves each day. GOALS: Our family is going to make some goals to make our physical bodies more healthy! (use this time to set simple goals with your family in areas in which you need improvement. This may include using a timer to monitor video game/computer/TV time, taking up an active family activity for exercise or eating whole grain breads or more fruits and veggies each day). *Make sure to write these goals down and track your family's progress during the week. You may choose to set a special incentive for attaining goals like a family trip to the local indoor swimming pool, a game of family laser tag or another active family activity. Bear your testimony about the blessings that can come if we follow the Lord's commandment to take care of our bodies. If your family really struggles in this area, tell your family why you want to make healthy changes. Make rainbow fruit kabobs with strawberries/raspberries, oranges, pineapple, kiwi, blueberries and purple grapes. Putting these on wooden skewers (available at almost all grocery stores in the area with baking pans) makes this especially fun for kids! I am using you wonderful blog to put together FHE packets for my daughter. She is the early morning and only seminary teacher in her ward and has two young children as well as a pt time tutoring job and a hubby in grad school and the bishopric....so you can see she has no time to do this. With a baby who still doesn't sleep through the night she is chronically fatigued, so I put together packets and send them to her. Thank you so much. She modifies the material for her 3 yr old who INSISTS they have FHE almost every night. I am so grateful for you. Thank You for making FHE so much fun. Thanks for all you do. Thanks so much for your hard work!! 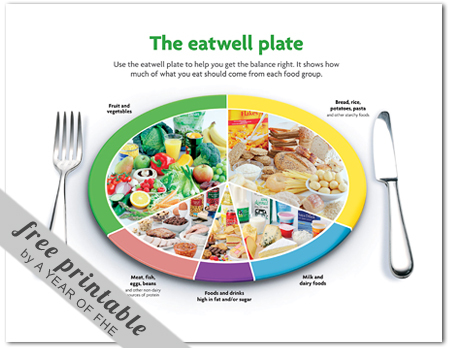 great lesson, kids today more than ever need to learn healthy eating habits. Thanks for your help, the pictures are great! Thanks so much! We love the lessons! THANK YOU!!! I always love your lessons, and you help us to have consistent FHEs. Thank you so much, your lessons are so great and you are the reason we are able to have FHE regularly!! I love your site! You're the reason we've finally been able to hold consistent FHEs. So very grateful to you and all of your hard work and care. girlie, you ROCK!!! thanks so much for sharing! this and all other lessons rock!! This is such a wonderful site!! Thank you for sharing all of your hard work!! Thank you for sharing this site. FHE's have been overwhelming and your site helps eliminate that. I am a recent convert with two sons and our FHE's will really have changed thanks to your site. My kids need this lesson! Thanks for doing it and taking the time to put it all together. You are amazing! I'm new to your site and it was LOVE at first site!! Bless you for all your hard work! I will be a regular for sure! I love how your lessons are so visual and help my young children! THANK YOU!! Great for even small children to get excited. Who doesn't love presents? Thank you! Thank you, thank you! This is all the things I wanted to talk about tonight, all organized for me. Perfect! Nice blog. Thanks for sharing about health exercise. Great! I’ve been looking for tips like this so that my children can stay healthy. They might not like the fact that they have to eat more vegetables than meat, but it would be good to get instill this sort of discipline in them while they're still young, so they can grow into it. Thank you for sharing these. You are making FHE easy so we are actually doing it. Thank you for the awesome and well thought our lesson! We are using it to help us with scout requirements as well. I love this lesson....all of them for that fact! Thank you so much for sharing. I love that this lesson keeps eating and exercising "real". For example it explains that eating bad food is okay, every once in while. I also love that it is so simple and works well with elementary age children great!!! If you want to prevent cellulite and make sure it never becomes a problem you have to keep a strict diet and exercise regularly. That's what most sites say, but that does not make it 100% true. If you want to know how to keep the cellulite away you should ask a professional. Someone whose job is to make sure it does not happen to people. Someone like http://www.fernandocavendishsoares.com.br/ for example. Wow! This is perfect for our family and the goals we are trying to make/achieve! Thank you so much.... this really means a lot. I can't wait for FHE tonight! Great lesson! Perfect for a busy working mom who doesn't have a lot of time to prepare, but wants to teach her kids the gospel in memorable ways. Thank you.